Building Homes (Qld) Pty Ltd have been helping families throughout Toowoomba and it's surrounding regions with the complex process of designing and building new homes as well as carrying out large renovation and restoration projects. Building new homes to a high-quality standard of excellence is what we have achieved over the years, through refining our building processes to ensure minimal waste while giving our client the best product possible for them and their families. The Building Homes (Qld) Pty Ltd team are knowledgeable when it comes to beautiful design and are committed to building stunning new homes as well as designing and constructing major renovations such as room extensions, decks, ensuites, wall removals & bathroom overhauls. Our customer is always in mind when working on renovations as the house is already a home and must be respected. That's why we take the utmost care when it comes to asbestos removal and any debris around our work sites. OUR COMPANY PROVIDES THE HIGH QUALITY TIMBER HOMES FOR PEOPLE WHO WANT TO INTEGRATE THEIR LIFESTYLE INTO AN AWARD WINNING HOME. We are excited to share with you an insight into the ethos and capabilities of Shelton Homes. Our mission is simple - to help create your new home which will compliment your lifestyle, and for the experience to be fulfilling and memorable Our timber homes are designed to provide the foundation for a lifestyle of contentment and comfort. When you choose Shelton Homes, you get so much more than one of our amazing homes - you get the professionalism and support of our entire team of trade partners and suppliers. Your satisfaction is important to us Don't worry if you are a first time home builder; we will provide all the guidance and expertise you need to achieve your dream home. Our passion is quality and we manage each of our homes with great attention to detail. We are grateful to have a business built on helping people just like you. 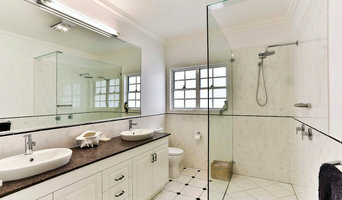 Smith & Sons Renovations & Extensions are builders who can guide you from concept to completion on your next project. 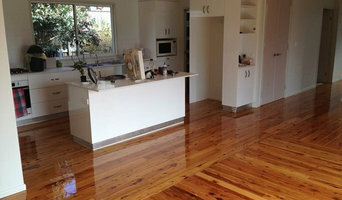 We are Queensland's largest dedicated renovation builder. Calibre owner Carl personally takes you through each stage of the building experience to create your home you way. We give the best in service and craftsmanship and view building your home as a commitment, not a transaction. Our family business foundation ensures you move into your dream custom home with a building team you’ll still be friends with by the end of the process. We are committed to giving you personalised service, custom designs and superior craftsmanship and enjoy the look on our client’s face when they see their uniquely individual project become a reality. Carl Humphrey has over 15 years experience in the Toowoomba building industry and has carefully handpicked a highly experienced and motivated group of tradespeople. Antonio Building specialises in the construction of new residential homes. The Antonio business philosophy is to focus on the needs of our customers and build to the client's individual design and budget requirements, completing your home on time, and on budget. Every client is offered a high level of personal service and customers will be guided through every step of the construction process. Open communication with clients is essential and we pride the name to a'committment of excellence ~ delivering quality and value'. A home with more personality, more character and charm, with the warmth of a special sacred place ... is a home build by Antonio Building Pty Ltd.
Geoff Gibson has been Toowoomba’s trusted local home builder for more than 25 years. With an established track record of understanding customer’s individual needs, Geoff works personally with clients throughout the concept, design, construction and finishing of their new home. Homes range from the traditional, Modern Colonial ‘Queenslander’ set on your breathtaking acreage location, through to a sleek, contemporary townhouse optimised for Toowoomba city living. Geoff employs experienced, knowledgeable staff who work with clients in each stage of building your new home, providing a unique, personal service. From floor-plan drafting, through home construction, to the day the keys are in your hands - Geoff Gibson can partner in building your new Toowoomba home. We are a family owned and operated business with a great knowledge of not just our own industry, but with vast experience in ‘what works’ – what features or inclusions bring extra value to your home, what floor plan will on-sell easily, what homes make great investments. We even have land available to buy exclusively for our own clients. Our very first Display Home won a Housing Industry Award in 1999 and we have enjoyed a great succession of winning home designs ever since. We are so thankful for our wonderful team who bring a great atmosphere to each working day and you’ll be sure to enjoy that vibe when you meet and work with us. Drysdale Platinum Homes is a local Toowoomba based builder constructing homes and doing renovations throughout Toowoomba and the Darling Downs region. Drysdale Platinum Homes is a family run company which was established in 2006 with a motto “to build well constructed, quality finished homes for our clients that provide functional living for the modern day family”. Here at Drysdale Platinum Homes we pride ourselves on giving the customer what they want, therefore if our client requires a modern double storey home or as simple bathroom renovation we build it. When you build with Drysdale Platinum Homes, your end result will be a home that is finished to perfection with simplicity in features providing the WOW factor. The Director of Drysdale Platinum Homes is a builder who personally meets with each client to draw a plan to suit their specific needs. We have a range of plans available (see designs section) but will happily design what our clients require. No plan is set in motion until our clients are 100% happy. Whether our client is a first home buyer, investor or middle income family we listen to their wants, design a house to suit their needs and build their dream project. Home renovations normally cost highly and that’s not all, they take long to complete. However, there are a few ideas on fast and affordable kitchen renovations that you can be able to do yourself in just a few minutes. Here are some of the ideas you should embrace when it comes to quick home renovation. TJS Building Group is a family business based from our head office in Toowoomba. Terry Schefe, a registered builder, employs on average 20 main stream staff as well as many sub-trades to specialise in residential, industrial and commercial construction. Terry has been designing, building and renovating residential, industrial and commercial properties for more than 25 years. In 2008, Terry purchased the Suncrest Homes Toowoomba and surrounds franchise and extended their working area to include Warwick, Lockyer Valley, Dalby and Stanthorpe. Today, even though Terry still builds in these areas, he now builds under the TJS Building Group banner, after selling his Suncrest Homes Franchise at the end of 2011. TJS Building Group provide fixed price contracts and are licensed to carry out most types of construction activity in Queensland. It is this depth and knowledge that sets us apart from other builders. As specialist renovation builders, we take a considered approach towards the craftsmanship of transforming homes into functional and beautiful living spaces. This collaboration, 15 years in the making, has combined a love of renovating, appreciation of design, along with a practical skill set to form an exciting new construction business located in the Toowoomba region. We understand renovation works involve a significant investment of time and capital on your part. Therefore, we’ll always provide you with sound advice on material selection and design particulars to complement the existing character of your home. We can assist with the refresh of an individual room, or a complete rejuvenation of your home. From small works involving bathroom or kitchen remodels through to major projects, we have the technical proficiency required to create a more liveable and practical living space which reflects your way of life. Let us come on your journey and we’ll create a unique space as individual as you. Whether you’re undergoing home renovations or building from scratch, hiring the right home builder is essential. Your choice will determine the quality of craftsmanship, as well as how high your stress levels rise! A home design or building project is a huge and multifaceted undertaking, so it’s important to find a local Toowoomba, Queensland builder you can trust to bring your vision to life and keep the process under control. The Houzz professional directory of home builders is a great starting point to choose the right builder for your needs. What exactly do Toowoomba, Queensland home builders do? 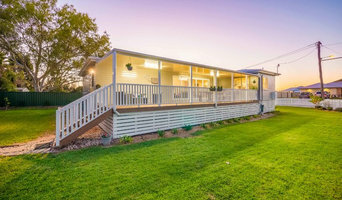 Before any nails are hammered down, construction companies perform market research to determine whether the prospective site for a new home in Toowoomba, Queensland makes sense. They also survey the land to make sure it is suitable for construction, and obtain any necessary Queensland permits. Home builders are like captains of a ship – aside from construction, they must supervise contractors; keep tabs on local council regulations, building codes and neighbourhood concerns; inspect work for problems along the way; and perform dozens of other roles that are essential in building a quality home. Some related professionals and vendors to complement the work of building project managers are Architects, Interior Designers & Decorators, Landscape Architects & Designers, Kitchen & Bathroom Designers and Specialty Contractors. Home builders are responsible for ensuring that the home building project sticks as closely as possible to the specified timetable, which can very easily be jeopardised by the likes of bad weather and late deliveries. When construction timetables do change – and this can be often! – the home builder must adjust everyone’s schedule accordingly. As the home construction is underway, they also must ensure contractors adhere to all relevant building codes. Custom and luxury home builders also need interpersonal skills to deal with clients of all types, soothe frazzled nerves, negotiate conflicts and resolve problems. Ask about how many projects like yours the builder has completed. To make sure you’re on the same page, you can put together some kitchen and bathroom design ideas that align with your vision and share your ideas with your prospective builder. Also don’t forget to look at their reviews for previous work on Houzz. Make sure you understand your quote. Ask what’s included in your scope and what’s not, and be crystal clear on what you’re paying for. Discuss how they charge, and get estimates in writing - don’t hesitate to get a couple of those to help in your decision. Also get clear on how you will be charged for parts and materials as well as labour pricing, and what happens when the cost exceeds the budget. Ask for the timeline on your job. When can your job get done, and what happens when there are delays? Also keep in mind that you may change your mind on things, so ask about their policy for change orders, too. Know who will be working on your project, and check that employees are licensed and insured. You should know what you need to provide to the builder so they can do their job, and they should let you know upfront if they foresee any issues with your project. Scroll through this page to find contractors in Toowoomba, Queensland. Then, click on a professional to browse photos of their latest projects and see how their work compares to the scope of your project. Read reviews to see how other homeowners rate their work, and message the home builder or construction company directly to ask any specific questions. Once you found your builder, take a look at other professionals you may need. No matter where you are, you can be sure to find the right expert to help. Whether you need a Landscape Architect in Melbourne or a Kitchen Designer in Sydney, look no further than the Houzz directory!